Love a theme party? Who doesn’t! Superbowl is right around the corner. I know you are prepping your food list and preparing for the big game. So get into the spirit and prepare in advance. Here’s some fun party props. 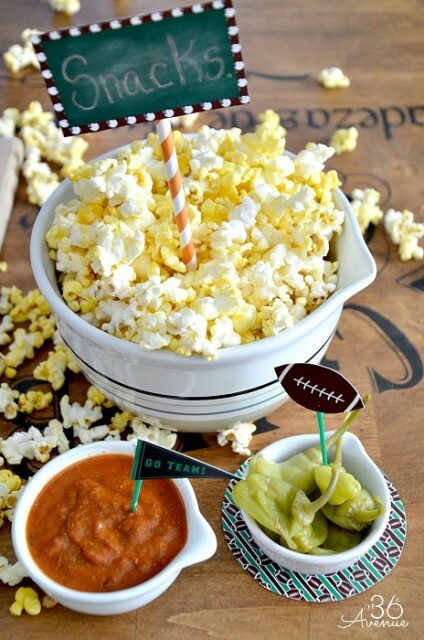 A list of free printables you can use for your perfect Superbowl Party. 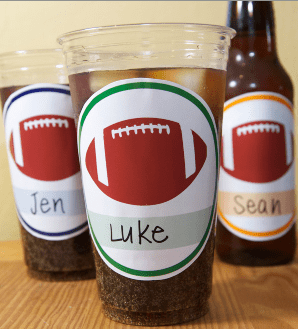 From beer cup embellishments to cute signs to cheer on your favorite team, these printables make for easy, decorations for the big game. 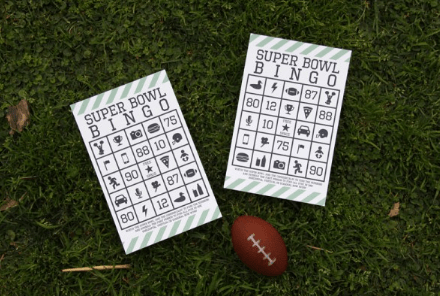 Take a look at these free Super Bowl Football Game printables. Make sure everyone knows which drink is theirs with these adorable labels! Print them onto sticker paper or just attach them using tape. For the free printable, visit Hostess With The Mostess. Photo by Jen St. Clair of Little Sprout Creations for Hostess With The Mostess. 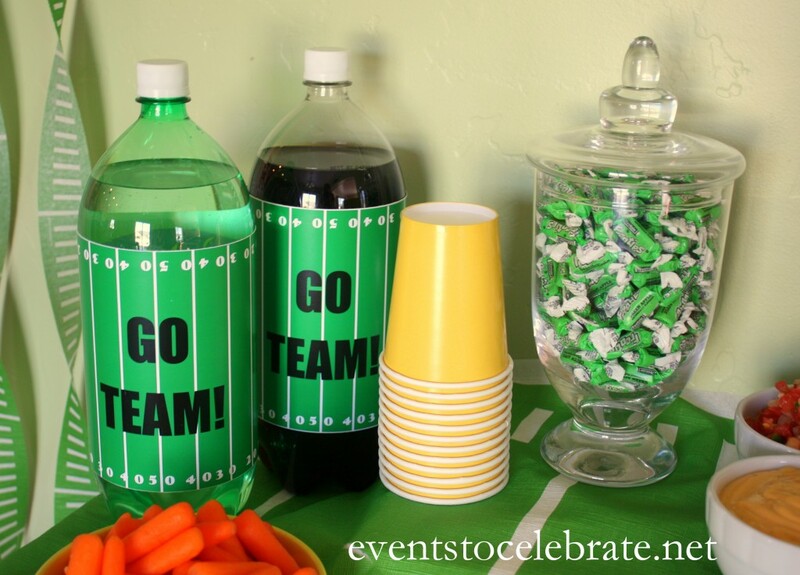 Here’s a cute idea from Events to Celebrate, wrap your 2 liters with some fun football themed wraps. She had free printables on her site. Make your party extra fun by playing brackets. It adds a little excitement to the game. Here’s a free printable from printyourbrackets.com. You can play for any type of prize that you and your friends come up with. Have fun with popcorn. 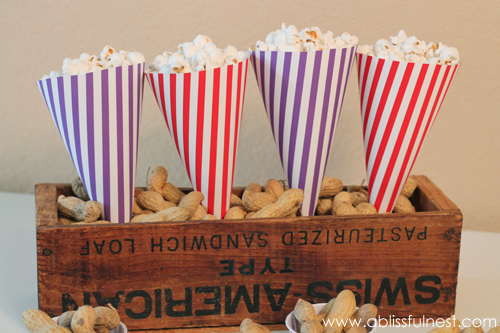 Check out these fun red and purple popcorn container printables from A Blissful Nest. 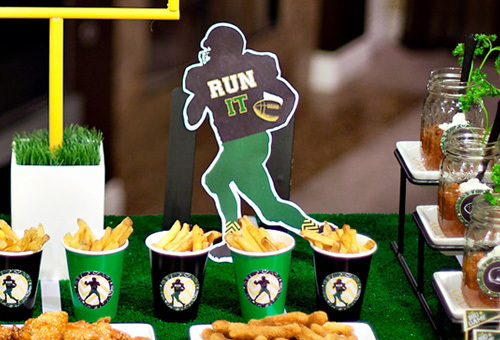 Hostess with the Mostess has a full set of printables to make your Football party unforgetable. People will be talking with these decorations. I love 36th Avenues use of labels in her decor. 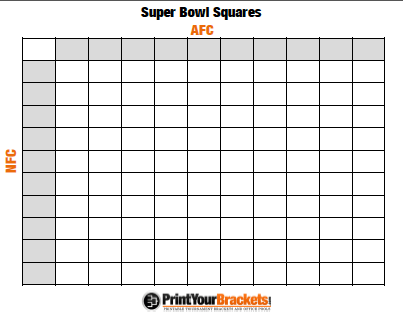 Label everything with these free printables of football flags. This is a game right up my alley. 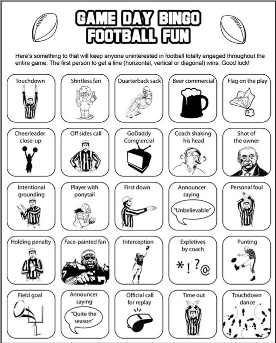 I probably won’t be too interested in watching the game, so why not play a little bingo from Studio DIY. This is great for the kids too! SheKnows also has some great bingo printables. They add squares for the commercials which keeps it interesting. Hope your party turns out great!